Result : Rangpur Riders won by 3 wickets. 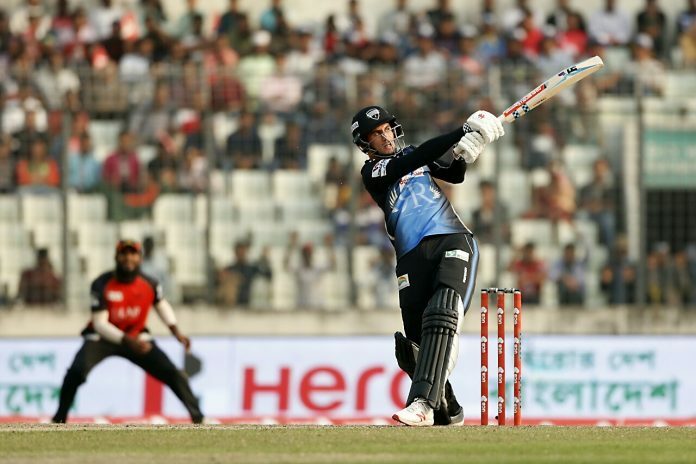 Defending champion Rangpur Riders put another heavy effort in high-scoring thriller as they picked up 4th win in the competition with a victory of 6 wickets against Khulna Titans. Rangpur Riders now jumped into the third spot on the points table with 8 points from 8 matches while Khulna remained at the bottom of the table with only win in 8 matches. 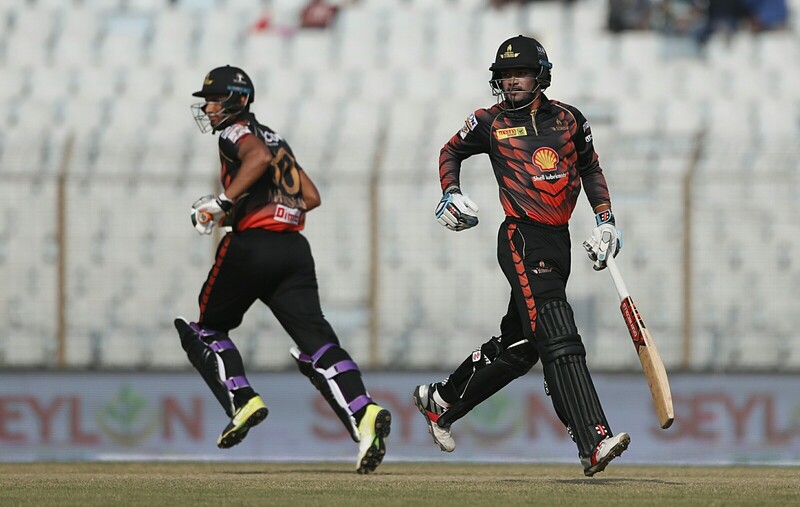 After losing both the openers for 29, Titans innings was boosted by top scorer Nazmul Hossain Shanto’s 48-run knock. Brendon Taylor, Mahmudullah and Wiese chipped in with cameo knocks and helped Titans to post a total of 181 for 6 after 20 overs. Player of the match Farhad Reza bagged 4 wickets for 32. Chasing 182, Chris Gayle and Alex Hales gave the Riders a perfect start with a partnership of 78 in 7.4 overs before Hales was dismissed by Yasir Shah on 55 off 29 balls. AB de Villiers then played an counter attacking knock of 41 to put further strength in the Riders innings. Titans hoped to make an late comeback with two quick breakthroughs but they were denied by Rilee Rossouw’s unbeaten 3-ball 10-run knock as Riders sealed the match in with 6 wickets and 4 balls in hand. Yasir Shah took 2 wickets for 47 for the Titans.